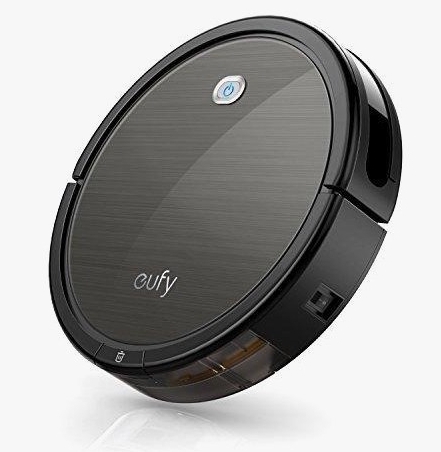 This week I took a bold leap into the future and purchased a robot vacuum cleaner - a Eufy RoboVac 11S to be precise. I like to think of myself as an “open skeptic” when it comes to robovacs, but the increasing demands of regularly vacuuming a three storey house host to two animals and (as well as people) pushed me down the road of investigating whether this thing could bring any improvement to my life, or whether it was just another tech gimmick. Suffice to say, I was convinced enough by the research I invested in reviews and videos to go for a well-received budget model. And it was during the period between ordering and waiting to take delivery that I had the first of two opinions. “You know they’re rubbish, don’t you? Useless for picking up the dog hairs.” was the somewhat paraphrased rebuke when he heard of my purchase. It was a bold enough claim to unsettle me and cause me to wonder (even more) whether this would turn out to be a bad idea. After all, I do have a dog. However, I had done my research and considered what the limitations of this thing were likely to be and where it would fit into my life, so I wasn’t entirely perturbed. A couple of days later I took receipt of the robovac, set it on a charge and then sent it on its merry way for a maiden voyage of the house. We happened to have a guest visiting at the time. “They’re great. I know a lady with one and it helps her get to all the places she can’t reach anymore. I have to rescue it for her when it gets stuck,” she told me. On the surface, this seems contradictory. It gets stuck and it’s great? How can that be? The answer to this is expectation. When you have a clear understanding of the limitations of the robot vacuum, then your expectations adjust in line with that understanding. My friend approached the robot as an aid for the woman who was no longer able to perform the chore for herself. It wasn’t there to be a perfect replacement for a full power manual vacuum cleaner, it was there to keep under and around objects free from dirt where it was no longer practical to reach. In contrast to this, the first conversation I’d had about robovacs was with someone who had unreasonable expectations for the product. Expecting a 30cm diameter, 8cm tall autonomous puck to have the power of a full-size vacuum and the intelligence of a human operator simply isn’t reasonable. The other criticism levelled at robovacs (and the Eufy 11 in particular) is that in “Auto” mode, it moves in a seemingly random, chaotic pattern. While it seems logical for the machine to take a methodical approach to cleaning, such as starting by finding a corner and taking a back and forth pattern across a room, this feels like a “human-centric” attitude. By anthropomorphising the machine, we naturally expect it to work like a person would. For what it’s worth, I’ve found that the battery life of the Eufy is more than sufficient for it to complete a floor without any obvious misses using its seemingly random approach. The gap between operational reality and unreasonable expectation when it comes to robots seems destined to remain prominent for the foreseeable future as we welcome more of these machines into our homes. It will take time for people to adjust and accept that we need to adapt to reap the full benefits. When electric motors first became available, they were slow to gain adoption in factories. Owners and operators simply couldn’t see the advantage of replacing their steam engine powered central shaft with an electric equivalent. It took a step change in thinking to realise the full potential of electric motors. It required vision and a willingness to see beyond the existing mental model, that with electric motors, it was no longer necessary to have one central drive from which all the machines in the factory were powered. But that instead the electric motor meant that each individual machine could have its own motor, its own source of power. And with that came increased energy efficiency, and the ability to physically place those machines wherever in the factory made sense. No longer did they all need to be lined up close to the central steam drive. It’s this sort of radical change in attitude that will enable us to fully embrace the future of automation. For now, I’m happy with the limitations and constraints of my robot vacuum. I run it on every floor every day, which means that I now only need to manually clean the staircases once a week instead of the whole house. What’s not to love?